Winning isn’t everything. 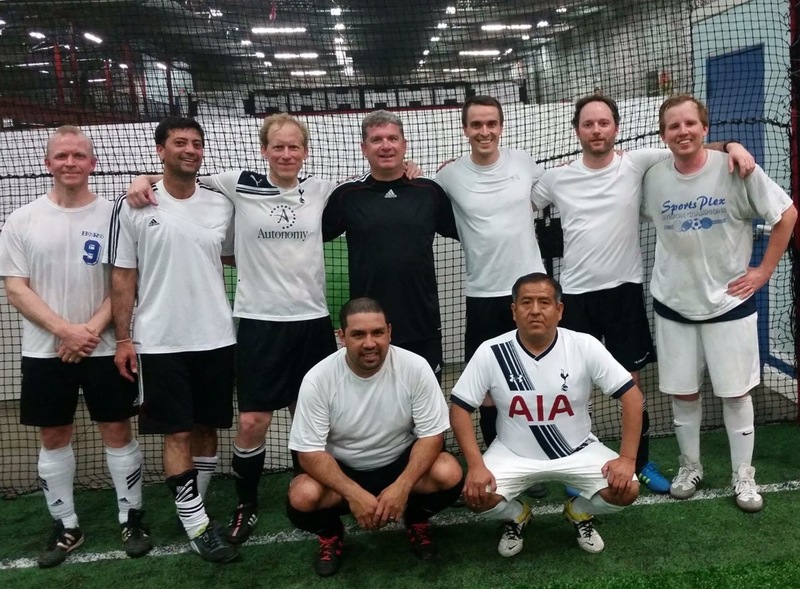 But it’s certainly better than losing–even when all you’re winning is the latest game in your local over-35 men’s indoor soccer league. Across the ranks of international soccer/football/futbol/calcio, there are roughly 4,327 divisions that play at a higher level than my Sunday night, over-35 men’s team does. We’re basically just a bunch of middle aged dads hanging in there as best we can, and so are the guys we play against. Pretty much whatever you do, there are going to be people who are better at it than you are. The real question, and the only thing that’s really within your control, is whether you choose to join them in that condition–in being better than you currently are. If you want to, you can always choose to make yourself better. And then you can choose to do that again and again and again. You can realize that the real competition you face isn’t the people on the other side of the ball or the aisle or whatever. It’s you. Are you willing to work to build your strengths and address your weaknesses, even after a win? If so, then you’ve already achieved something many people never do. You’ve learned to overcome your own limitations. And that means you aren’t really limited by them any more. In life, you can win the ball, the game, the championship, the grade, the job, or even the girl or guy. But winning any of these is not the same as keeping it. And there’s always another contest coming. My soccer league drives this point home through sheer scheduling: we once won the league championship game one week and lost our new season opener the next. But the same principle applies basically anywhere. Winning feels good, and it’s good to celebrate your wins. But there’s always another game coming, and you can’t take your wins with you. What you can take with you is how you won: the things you learned along the way; the friendships you built with teammates; the reputation you made for yourself among your competitors. The wins themselves will typically fade into memory fairly quickly, as will the losses. But the skills and friendships and reputation you build will remain. These will help you win again. Just as importantly, they will help you bounce back when you lose. The net of all this, I suspect, is just this: If we really want to win in life, most of us should spend less time trying to outdo others and more time trying to outdo ourselves. Keep making yourself better, and keep building relationships with those around you who do the same. Think less about how to get ahead and more about how to build the best possible team–of family, friends, coworkers, fellow travelers, and of course players and coaches. Do that, and I can basically guarantee you’ll come out ahead in the long run. Heck, you might even realize that life isn’t a race. P.S. Come to think of it, there is one other secret to winning: Score more points than the other team!